There always comes that piece of news that is absolutely perfect in the sense that it seems like a celebrity's life was building up to this moment. That is how I felt when I found out that Nick Carter is expecting his first child with wife Lauren Kitt, because Carter is best known as the (arguably) cutest member of the Backstreet Boys, and now I have so many "he's going to have a Backstreet Boy or Girl" jokes I want to make that I don't even know where to begin. (Well, I do know where to begin. I began right there.) 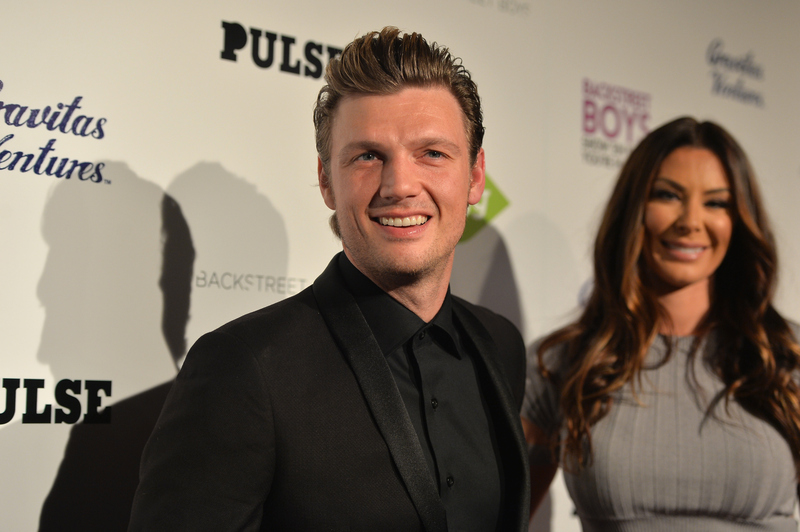 The news was confirmed by a source rather than by Carter and Kitt themselves, but, if it is true, then the couple that highlighted I Heart Nick Carter is about to bring a bright new life into this world. Who will, hopefully, be as good of a singer and dancer as their father. Bustle reached out to Carter's representatives, but have yet to receive word back. "They are so happy and overjoyed," said US Weekly's source. "They've been trying and waiting for such a long time." Carter is currently keeping himself busy by competing as a contestant on Season 21 of Dancing With The Stars, but the season will be long over by the time Kitt gives birth, leaving him with plenty of time to become a stay-at-home dad and dote over his little bundle of joy. His Backstreet baby, if you will. (I told you; these jokes just write themselves.) Kitt and Carter seem like a very happy couple, and I can't help but be happy for them if the source is right and they have been trying for a while to get to this reported point. Now, I'm not saying that I can already think of a mix of Backstreet Boys songs that would perfect for Kitt and Carter to play for the child before and after he or she is born, but I am saying that they should totally shoot a line my way if they want me to send such a thing to them. Until that day totally comes, congratulations to the allegedly soon-to-be parents, and let the Backstreet baby puns begin. The Internet knows of no higher and classier way to express their joy.